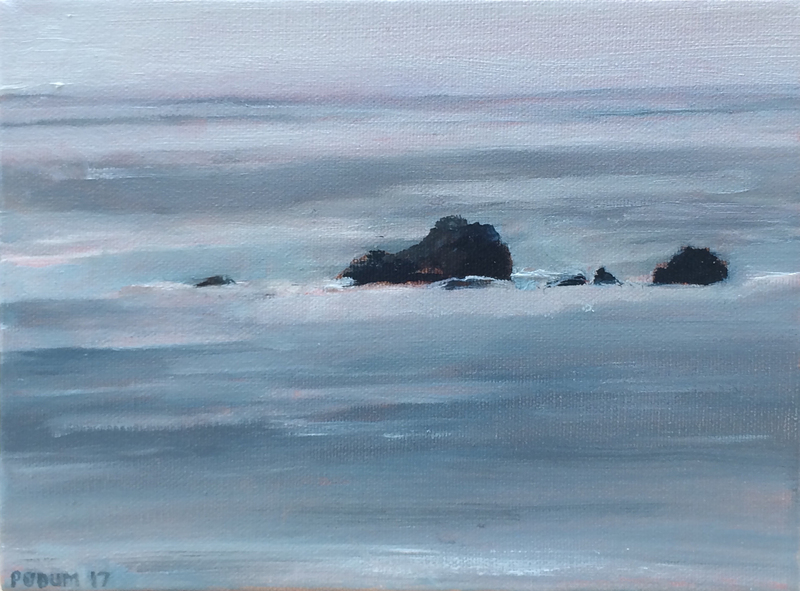 Painted in situ where the Russian River meets the Pacific in Jenner, CA. 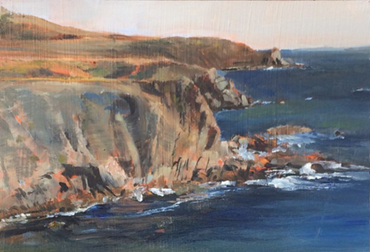 This painting depicts the view to the west from an overlook above Jenner, where you can just make out bits of rocks jutting through the waves. The piece was painted on a foggy day when the sun was largely behind the clouds.